Work for Red Hat Quay? Learning about Red Hat Quay? The best features are being able to create robot users for automations ( like deploy on k8s ). Security scanning of images to make sure we don’t miss vulnerabilities. I feel the price point is higher. The image scanner shiuld have notifications included if it finds any serious vulnerabilities. Use it as container registry and a single source of truth for image scanning and security vulnerabilities. Reliable uptime, great evaluation tools including a handy security scan. Sometimes the repo goes down. However, this is at the very least no worse than any other docker repository. A good place to store and evaluate Docker images. Security scan exposed vulnerabilities in some of our images, and gave us confidence in the security of others. * We monitor all Red Hat Quay reviews to prevent fraudulent reviews and keep review quality high. We do not post reviews by company employees or direct competitors. Validated reviews require the user to submit a screenshot of the product containing their user ID, in order to verify a user is an actual user of the product. Hi there! 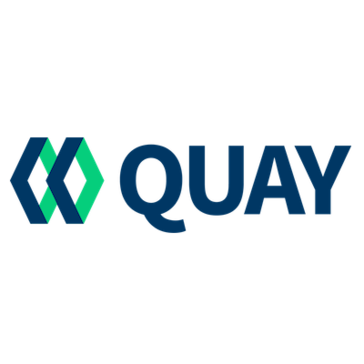 Are you looking to implement a solution like Red Hat Quay?